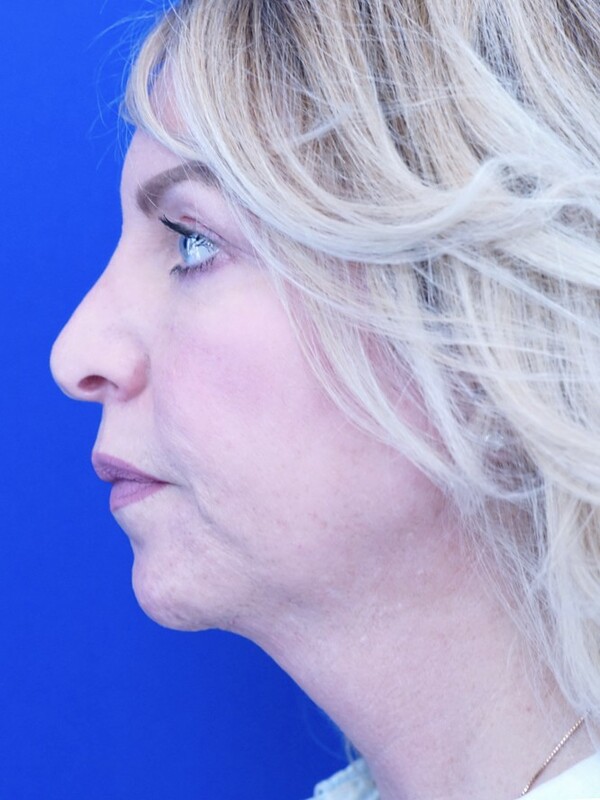 Prior rhinoplasty leaves her with tip ptosis and poor tip projection. Revision open approach is undertaken to sculp and suture suspend the tip for a more natural aesthetic result. Photos taken 3 months post-op.